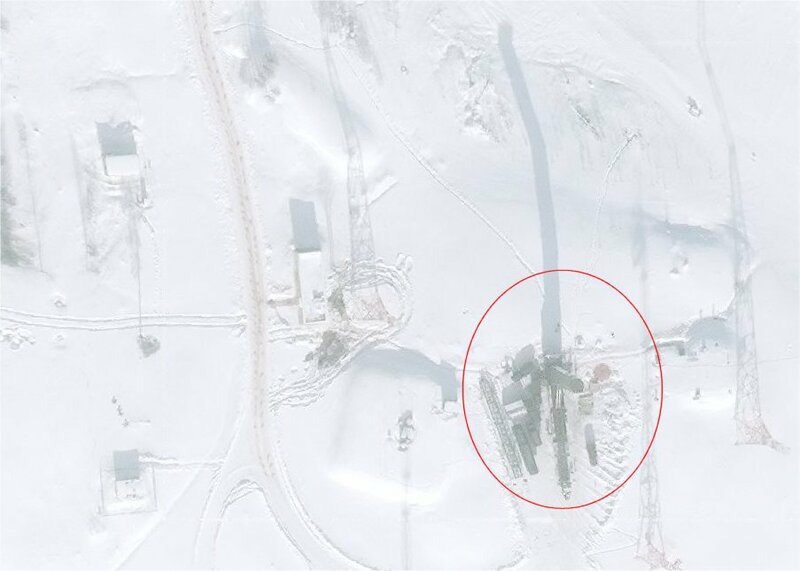 On March 29, 2018 the ministry of defense posted a video of the second ejection test of the Sarmat missile, which took place at the Plesetsk test site, apparently either on March 28th or March 29th, 2018. The first ejection test of the missile took place in December 2017. The silo that was used in the test has some interesting history (h/t NK forum). The silo is located at the Yubileynaya site at Plesetsk. It was built in the 1990s as an experimental silo, 15P765-18E (15П765-18Э), to test the START II procedure of converting a R-36M silo to that of Topol-M. The conversion included pouring concrete "up to the height of five meters from the bottom of the silo launcher" and installing "a restrictive ring with a diameter of no more than 2.9 meters" (see Article II.4 of the START II Protocol on Procedures Governing Elimination of Heavy ICBMs). Since there was no R-36M silos in Plesetsk, Special Machine Building Design Bureau built a new one (or, rather, converted an old silo, of course). Now this silo has been converted again, this time for Sarmat tests. The process probably had to include removal or the five meters of concrete poured in earlier - not an easy task, I would say, unless you are rebuilding the silo again. Note that the converted silo is likely to have a new designation as well. March 10th - that's 18 days before the test - feasible?